We are launching 3 new triangular wheels clamps to our Stronghold range of security products. 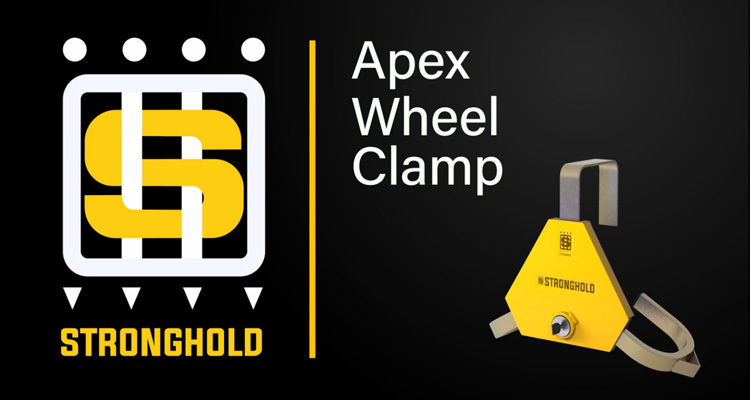 The new Apex wheel clamps are available in 3 sizes, and are designed to fit and secure a range of vehicles from cars, campervans, caravans, motorhomes, horse boxes and trailers. Our wheel clamps are Sold Secure Gold and Secured by Design approved, meaning they are tested to stringent independent testing. With a unique high security patented locking system and robust steel construction, it would deter any opportunist thief from stealing your vehicle. The 2 part triangular steel sections covers the wheel nuts, wheel trims and alloy wheels, also making it difficult for thieves to take the vehicle. For extra protection and depending on what vehicle you have, we suggest to invest in a hitch lock to secure the hitch.